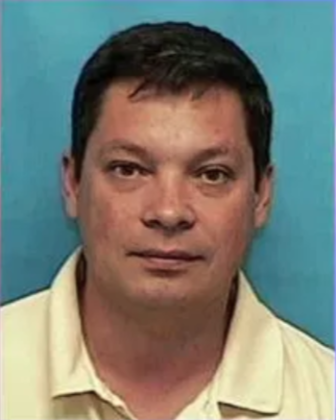 Ramil Mansourov, 49, of Darien was sentenced in federal court Monday to seven years and three months in prison and to pay back the $5 million he’d stolen in a health care fraud and money laundering scheme. — This article is based on announcements from the U.S. Attorney’s Office for Connecticut. According to court documents and statements made in U.S. District Court in New Haven, Mansourov is a physician who worked out of Family Health Urgent Care at 235 Main St., Norwalk. Ramil Mansourov, arrest photo from 2017, when he was apprehended in Canada. The medical practice had been owned by Dr. Bharat Patel. In about 2012, Mansourov bought the practice, then known as Immediate Health Care, from Patel and renamed it Family Urgent Health Care. Patel continued to work there. From 2014 to November 2016, Mansourov billed Medicaid nearly $5 million for home, office and nursing home visits that never occurred. The investigation revealed that Mansourov used the stolen funds for both personal and business purposes, and that he transferred some of the stolen funds to a bank account in Switzerland. U.S. District Judge Janet Bond Arterton ordered Mansourov to pay $4,994,027 in restitution, forfeit $50,000 and surrender his federal controlled substances registration to the Drug Enforcement Administration. His sentence is to be followed by three years of probation. Mansourov has been detained since July 13, 2017, when he was caught after fleeing to Canada. On Sept. 17, 2018, he pleaded guilty to one count health care fraud and one count of money laundering. He transferred some of the stolen funds to a bank account in Switzerland and then moved more than $1.3 million from the Swiss bank account to at least three of his own domestic bank accounts. The investigators found that Mansourov used the stolen money for both personal and business purposes. The woman called police on Dec. 16, telling them her ex-boyfriend was following her. When police arrived at her location, at a store on the Post Road, they saw Mansourov following behind her. Charged with second-degree stalking, he was released on a $2,500 bond and ordered not to have any contact whatsoever with her. An hour later, he emailed her five times. 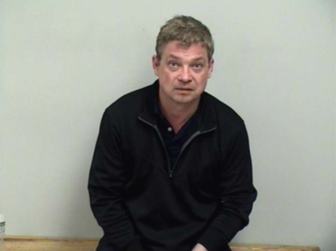 Mansourov, a Tokeneke Road resident, found later that night in a Darien bar by Darien police. He was charged with second-degree harassment and violating the conditions of his previous release. He was held on $250,000 bond. Westport police said Mansourov had been involved in similar stalking incidents in Stamford. On June 25, 2018, Patel pleaded guilty to narcotics distribution and health care fraud. Patel admitted that he’d written hundreds of medically unnecessary prescriptions for oxycodone and hydrocodone, and received $158,523.95 from federal health programs as a result of this and related criminal conduct. On Oct. 12, 2018, he was sentenced to 54 months of imprisonment. This investigation was conducted by the DEA’s New Haven Tactical Diversion Squad and the Norwalk Police Department, with the critical assistance of the Connecticut Office of the Attorney General. The DEA Tactical Diversion Squad includes officers from the Bristol, Hamden, Milford, Monroe, New Haven, Shelton, Wallingford and Wilton Police Departments. The case was prosecuted by Assistant U.S. Attorney Rahul Kale. Mansourov was charged along with Patel on federal narcotics distribution charges in 2017, but those charges were not mentioned in more recent U.S. Attorney’s Office announcements about his case. It is unclear whether or not those charges were dropped against Mansourov. There is no announcement that Mansourov was convicted on those charges. In a July 2017 announcement from the U.S. Attorney’s Office in Connecticut, Mansourov and Patel were each accused of conspiracy to distribute and to possess with intent to distribute narcotics (a charge with a maximum sentence of 20 years, if there’s a conviction). Patel and Mansourov are participating providers with Medicare and the Connecticut Medicaid Program. Beginning in approximately 2013, the Drug Enforcement Administration received information that Patel and Mansourov may be writing prescriptions for controlled substances outside the scope of legitimate medical practice. The complaint alleges that Patel regularly provided prescriptions for narcotics, including oxycodone and hydrocodone, to patients that he knew were addicted or had been arrested for distributing or possessing controlled substances. On numerous occasions, Patel provided prescriptions to patients who paid him $100 in cash for each prescription. In certain instances, Patel would write prescriptions for individuals who were not his patients in exchange for cash. At times, when Patel was not available, Mansourov provided Patel’s patients with unnecessary prescriptions. Patel and Mansourov also regularly provided post-dated prescriptions to individuals, sometimes with dates that matched future dates when the doctors would be out of the country. It is alleged that certain individuals who paid Patel cash for prescriptions paid for the filled prescriptions by using a state Medicaid card, and then illegally distributed the drugs. The investigation revealed that in 2014 alone, more than $50,000 in cash deposits were made into Patel and his wife’s bank accounts, and that some of these funds were used to purchase Patel’s current residence.